Our vineyards are a testimonial of the love our growers have for the land and the millennial vocation for grapevine culture in Trexenta. 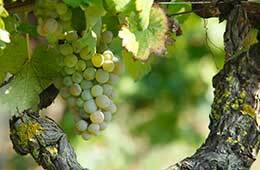 The vineyards have been in this territory since prehistoric times thanks to the spontaneous growth of Vitis vinifera. 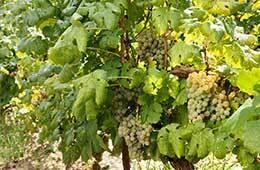 The grapes harvested today arrived in Sardinia already in the Phoenician Era (IX – VIII century BC), during the Carthage (VI century BC) and Roman (III century BC.) rulings. Over the centuries, the populations coming from different areas of the Mediterranean introduced different varieties and cleverly exploited the characteristics of the climate and soil. 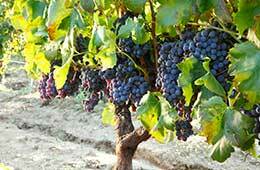 Today, the vineyards extend throughout the lands of Trexenta, an inland area in the south of Sardinia at 40-50 kilometers north of Cagliari covering a surface of about 350 hectares. 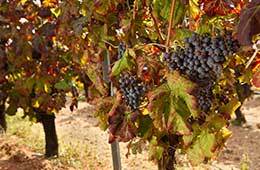 Our vineyards are managed with skill and wisdom and follow strict programming to achieve high quality standards. Trexenta is formed of mountainous stretches up to 400 meters above sea level. Typical widespread Miocene sedimentary formation consisting of limestone, marl, sandstone and volcanic material dominate this area resulting in calcium carbonate rich soils of fine marl texture and more coarse sandstone textures. Xerorthents derived from limestone and deep soils which are fertile, fine textured and rich in calcium carbonate, and clay loam are also found in this area. The climate is characterized by very hot and sunny summers, mild winters and a relative abundance of water compared to the rest of Sardinia, which is generally quite dry. Average annual temperatures are around 16-17 °C. The minimum temperatures in January run between 5-5.5°C.